A Q&A with Skully Helmets founder and CEO Marcus Weller. The Redwood City, California-based startup, which has created an intelligent helmet for motorcyclists powered by an Android OS, launched at the DEMO Fall conference this past October and won a DEMO God award for favorite presenting startup, as voted by show attendees. It was founded in early 2013 and has raised $175,000 in Seed funding to this point. SUB: Please describe Skully Helmets and your primary innovation. Weller: With Skully’s augmented reality motorcycle helmet, Skully Helmets has taken technology historically only available to highly-trained fighter pilots and made it affordable and user-friendly for the average consumer. The Skully P1 has a proprietary transparent heads-up display system, 180-degree rearview camera and fully-integrated GPS navigation. Weller: In the first two months since launching, we have received 41,000 beta-tester application essays via our online application. Looking at this database of early adopters for our first product, the Skully P1, our users are motorcyclists who want to experience enhanced situational awareness and safety. The type of motorcycle they ride and the lifestyle they lead run the gamut. Many are motorcycle commuters who want to enhance safety with the panoramic rear camera. Some are avid sport riders looking for an edge in performance. We were struck by the number of people out there who seem eager to embrace this particular advancement in wearable technology. SUB: Who do you consider to be your competition, and what differentiates Skully Helmets from the competition? Weller: There are many premium helmet manufacturers selling foam and plastic helmets with generally the same goal in mind—the coolest design, the lowest weight, and the safest crash testing. None of the current incumbents have addressed the greatest contributing factor to crashes—situational awareness. The best helmet incumbents in the market can protect your head in the event of a crash. Skully can do that, and in many cases prevent the crash from happening at all. Skully has developed new technology, including a 180 degree rear- and side-view camera, GPS maps, new heads-up display optics, along with in-helmet voice control. 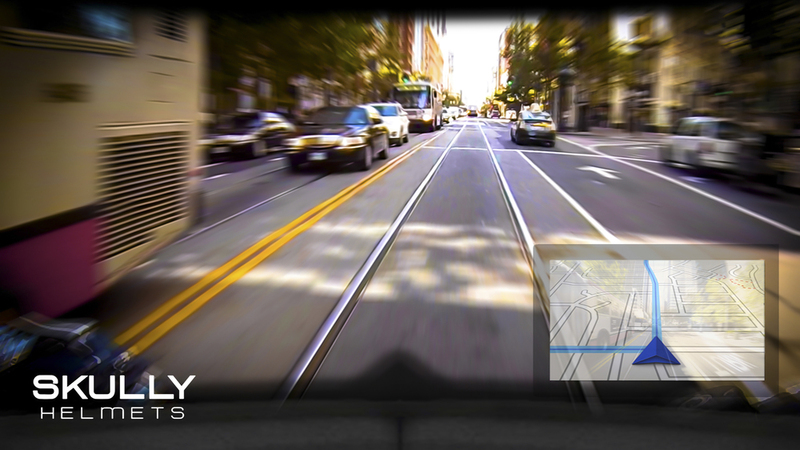 There have also been some attempts at developing HUD technology by Reevu, Nuviz, and LiveMap, but their lack of a human-centered design and vertical integration simply miss the mark on combining safety and situational awareness with great user experience. The winners in this space will have beautiful vertical integration and situational awareness at their core. SUB: You had your official launch at the DEMO Fall show back in October. What was the experience of launching in that forum like, overall? 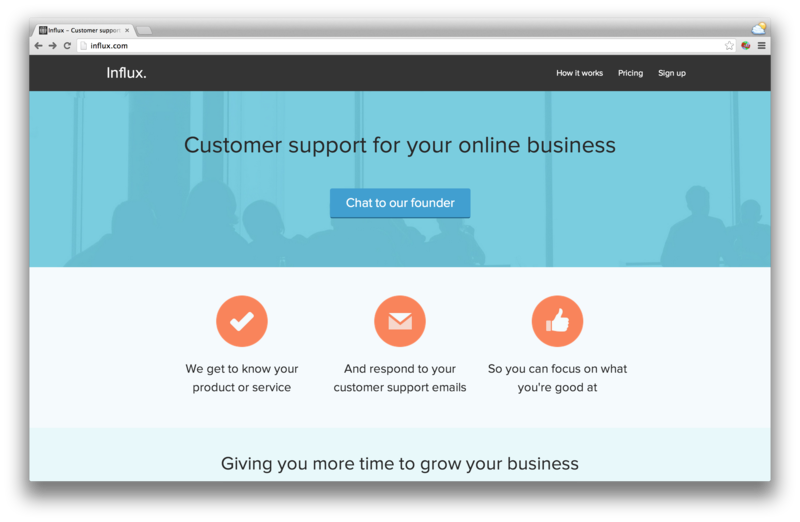 Weller: Launching at DEMO was a great experience. The community has a very high level of energy and enthusiasm, and that coupled with the number of experienced advisers and entrepreneurs involved made it electric. We were delighted to have the chance to launch at that show, and were thrilled to receive the show’s highest honor, the DEMO God award. SUB: Why did you decide to apply to DEMO as the platform for your launch? Weller: DEMO is a very successful launch platform with a proven track record of launching world-changing products. Salesforce.com, VMware, E*Trade and Tivo are a few examples of companies that have also launched at DEMO. When they invited us to launch, we were excited that the opportunity aligned well with our timeline. We couldn’t be happier with the overwhelming publicity it generated. SUB: What was the inspiration behind the idea for Skully Helmets? Was there an ‘aha’ moment, or was the idea more gradual in developing? Weller: The beginning was more of an ‘aha’ moment, albeit an unconscious one. Back in 2010 I was riding my motorcycle in Barcelona, and as I glanced over to read a street sign, a little red car slammed on its brakes and I crashed into the back. Luckily, I wasn’t permanently injured, but the bike was totaled. It was a fairly disorienting experience being faced with my own mortality that day, and that feeling stuck with me for quite some time. I would have dreams about it from time-to-time. A few months later, I woke up from yet another flashback dream, but this time I had GPS maps floating in front of my helmet like a hologram. I immediately noticed I didn’t have to look around for street signs. I woke up out of this dream around 4 a.m. on a Wednesday and immediately tried to find one without any luck. That’s when I realized that if I was going to own one, I would have to make it. Weller: After the idea I remember mentioning it to other riders I knew and getting a ton of positive feedback. Shortly after, I filed a provisional patent and started tinkering with electronics to build a proof-of-concept—the first Skully prototype. I also got some legal advice and incorporated the company. Each little step made it more real. Little-by-little, it began to gain momentum, and after recruiting advisors, building a team, and solidifying a business plan, it really began to take on a life of its own. Weller: The name for the helmet actually started out as ‘HALO,’ which stood for ‘Helmet Adapted Locomotion Optimizer.’ The idea was that it was something you could wear on your head to feel protected while giving you a greater sense of awareness. Eventually we decided there was just too much overlap with the videogame Halo, and given the challenges in search optimization, we developed a new and unique name that also evoked an image of motorcycling and what the product does. The skull is a historical icon in motorcycle subculture, and the skull protects the brain in the same way that Skully P1 protects the head. It’s all about the brain, whether protecting it physically, increasing awareness, or augmenting reality with sensory data. Weller: Yes, we were met with a lot of interest from Angels in the semiconductor industry at the outset, which allowed us to raise the capital we needed. We are constantly meeting future investors that share our passion for wearable technology and human-centered design. Weller: Building and maintaining a great team. We have learned that not only does a great team have broad technical and business capabilities, but it also has the ability to quickly adapt across the various stages of growth. Skill sets that were critical at one phase often become less critical at later phases. Making calls involving talent and leadership is never easy, and maintaining a core group that can rapidly adapt and take you all the way to exit becomes critical. We worked very hard to reach this point where our team is well-rounded and ready for the ride. Weller: Simply put, we make a product that people want and need, and we sell it to them directly. Since launching at DEMO, we have been met with intense demand for the Skully P1. We are methodically building a premium brand which opens the possibility for additional revenue streams, such as apparel and accessories, after our initial release. Our Android-based operating system with open SDK for developers also is an additional revenue source for Skully. SUB: What are your goals for Skully Helmets over the next year or so? Weller: Our main goals are to release our beta model, incorporate feedback into the production design, and release it to the millions of people who want and need it. We are also focused on building a highly-scalable manufacturing operation to quickly and efficiently meet the demand. Our third key goal this year is to continue building Skully’s brand. In doing so, our aim is to capitalize on the potential of Skully’s underlying technology platform to lay the foundation for the next leap in wearable technology. The Skully P1 is the first step in a long roadmap of transcendent wearable computing devices.